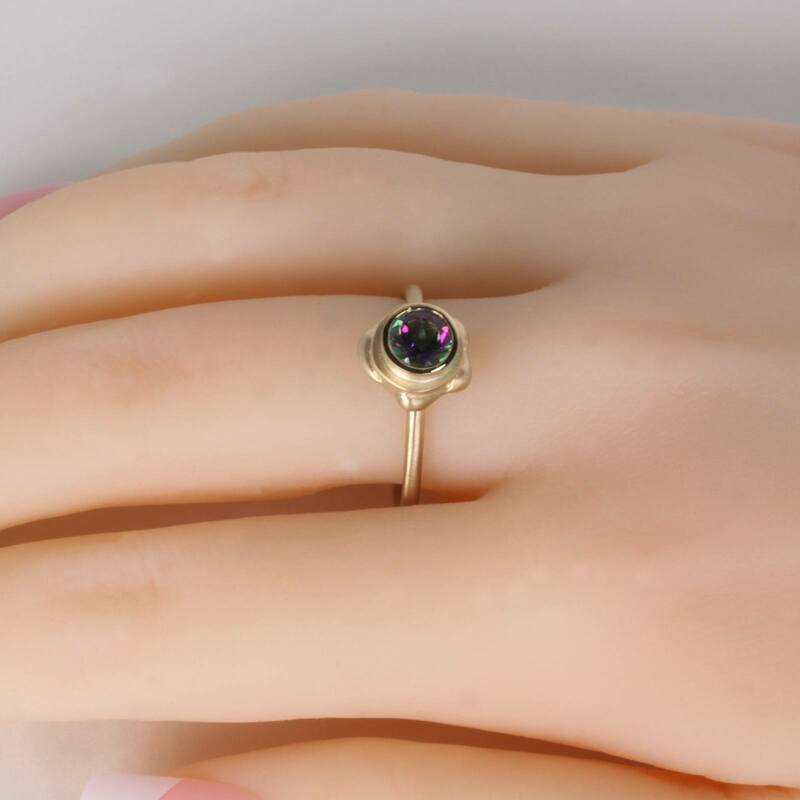 Pop of Color Stackable gold rings with .63 carat Mystic Green Topaz gemstone. Available in 14k or 18k yellow gold. The minimalist rock candy sparkle of this mini pop ring is subtle yet bright. 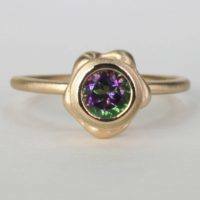 Add a pop of color to your style with the beautiful dance or iridescent violet, indigo, and green shimmering within this 5mm Mystic Green Topaz gemstone. 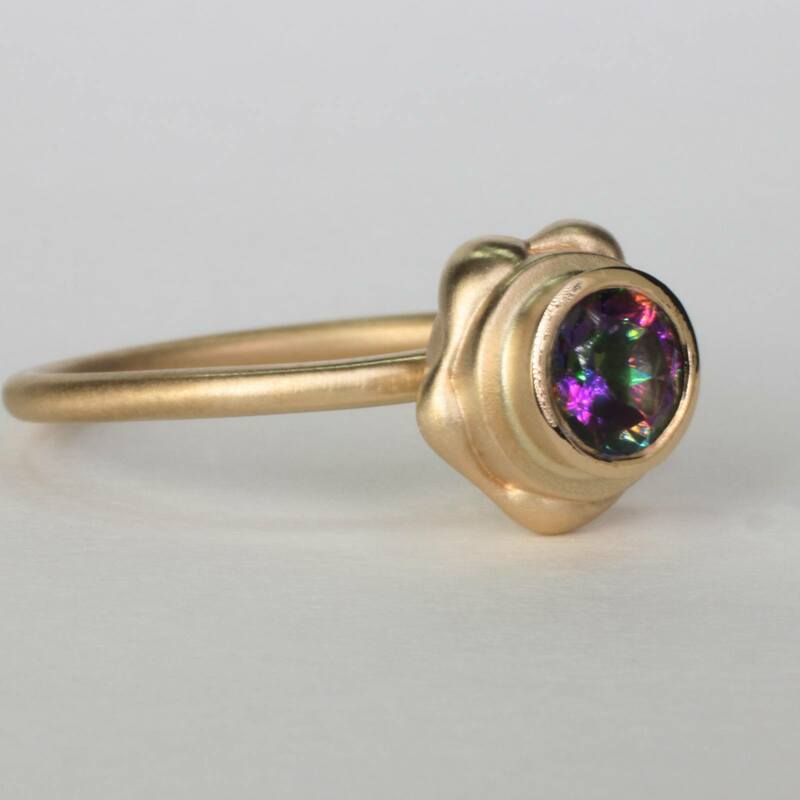 The mystic topaz gold ring is handcrafted with the lost wax jewelry technique. This detailed gold ring is called the mini pop ring, and is apart of a new fine jewelry collection by EzzyKaia. 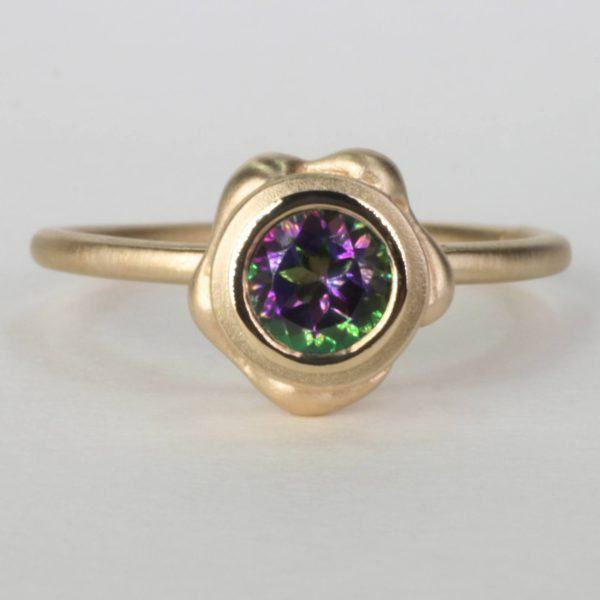 This beautiful iridescent gemstone ring is available in 18k or 14k gold. 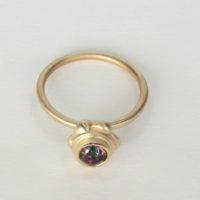 The mini pop gold ring can be worn as stackable rings or as a single ring. This comfortable gold ring is well crafted and this unusual gemstone is expertly set in 18k or 14k precious metal. 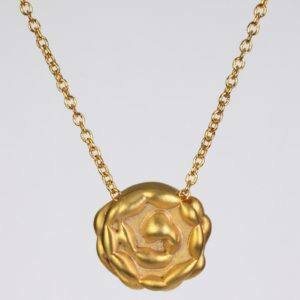 This local NYC fine jewelry designer, welcomes the opportunity to work closely with her customers in designing the best gold jewelry with quality craftsmanship. 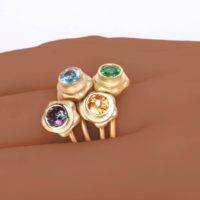 This sophisticated mystic topaz gemstone gold ring is versatile, and can compliment your personal style for day or night. 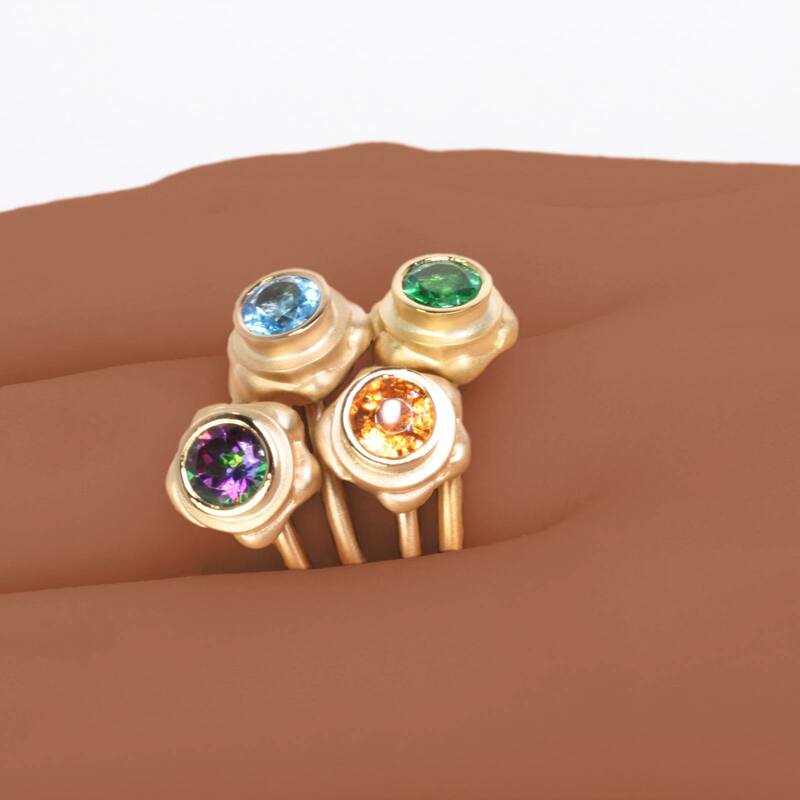 Our designer gold ring is an excellent choice for special occasions, and to celebrate wonderful memories. 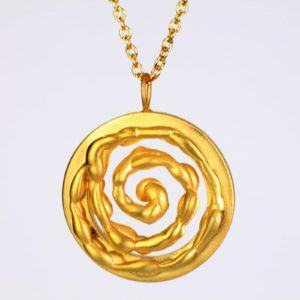 EzzyKaia can also be commissioned to create a custom gold jewelry for your special event. 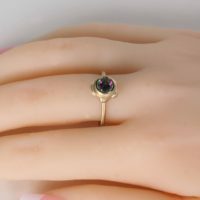 The mini pop gold ring with mystic topaz gemstone is an elegant gift idea that can be designed in either 14k or 18k gold to celebrate an anniversary or birthday. EzzyKaia can offer her expert opinion in choosing the best jewelry gift for you. 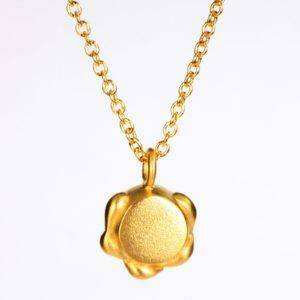 Our fine gold jewelry is stamped with the designer’s logo, and karat amount either in 14k or 18k. 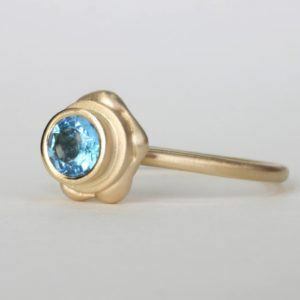 This sophisticated gemstone ring is unique, and no two pieces are alike. Our fine jewelry collection is available with complimentary shipping within the USA, and securely shipped with FedEx. For your convenience gift-wrap is available upon request.